I had to do another monochromatic look- Summer version. I absolutely love this summer trend! 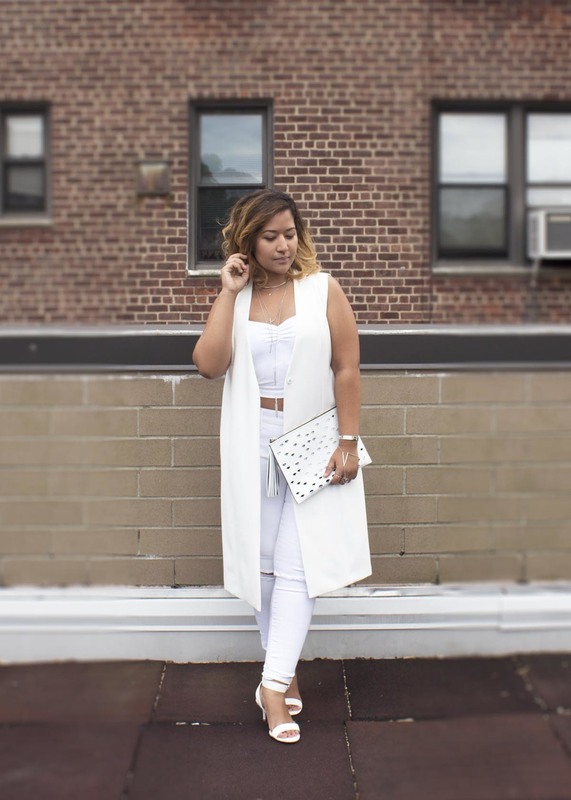 Why wear all black this time of year when you've got the option to wear all white. 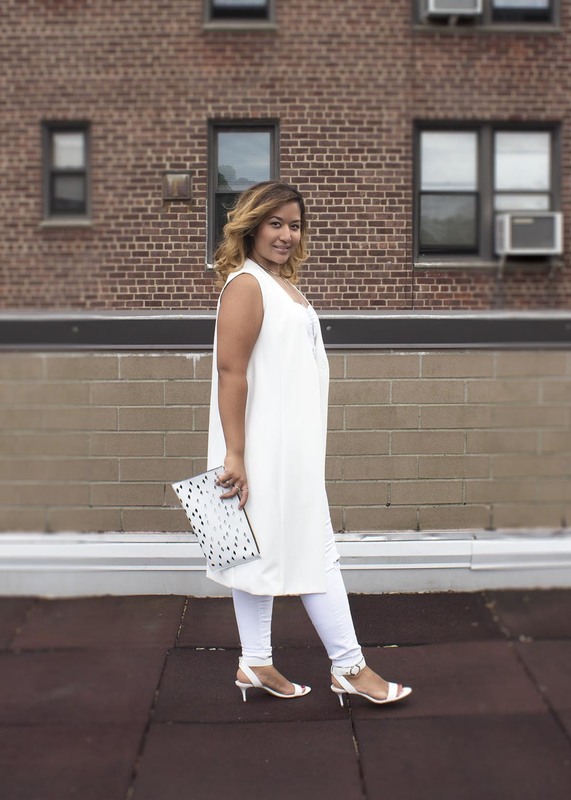 I've paired my favorite white jeans with a crop top and this amazing long sleeveless vest. These are my favorite white jeans because they are mid rise and have the right amount of stretch. I love love LOVE the rips, idk what it is lately, but I'm obsessed with jeans that are distressed. 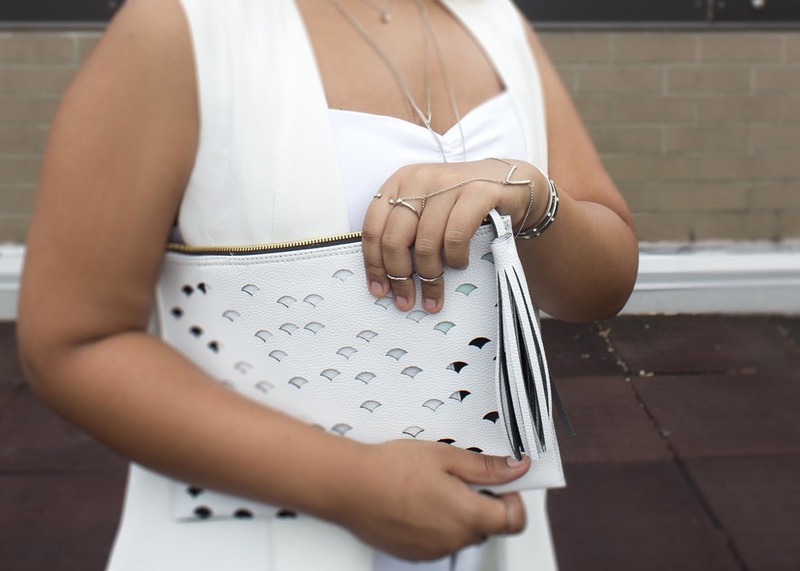 To top this off, I'm wearing my favorite dainty silver necklaces, layering them for the perfect mix! The key to layering is to have the right lengths, separating one necklace from the other, and having different jewel shapes.